Video game movies have a bad reputation because, honestly, there are very few that we'd call actually "good." 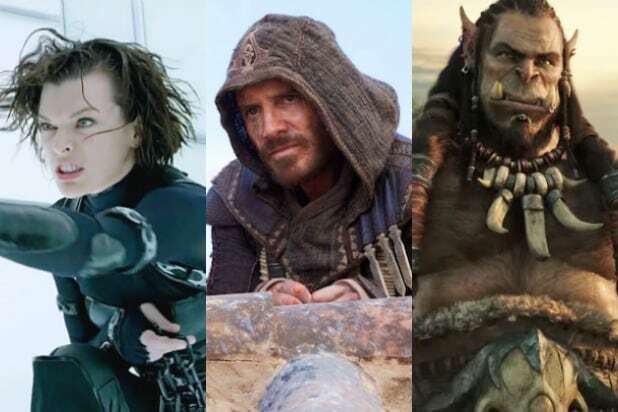 At their best, at least so far, these big-screen adaptations have been fun and trashy entertainment. At their worst, they're among the worst movies ever made. So let's rank 'em! 43. "Postal" (2008)The pinnacle of director Uwe Boll's string of horrendous video game movies (he has five that qualify for this list by getting theatrical releases somewhere), but to be fair it's probably still a better work of art than the game it's based on. 42. "Alone in the Dark" (2005)"House of the Dead" briefly tricked us into thinking Uwe Boll was a camp master, but his next video game movie, "Alone in the Dark," was such an incomprehensible slog that I have never been able to sit all the way through it after my first viewing in the theater. 41. "The Wizard" (1989)Technically this is an adaptation of a novelty video game peripheral, the Nintendo Power Glove, rather than an actual game. And it's as much of a joke as you'd expect a feature-length ad to be. 40. "The Angry Birds Movie" (2016)I'm a negative person on principle, but even I was put off by the misanthropy of this kids movie. When neo-Nazis embrace your cartoon, you probably did something wrong. 39. "BloodRayne" (2006)In 2003, Kristanna Loken looked like she was gonna be somebody when she starred as a Terminatrix in "Terminator 3." And then she starred in two Uwe Boll movies, including this travesty. 38. "Silent Hill: Revelations" (2012)Worse than the first "Silent Hill" movie in every possible way, down to actors who seem incapable of making facial expressions. Which is bad news, because most of the acting in a "Silent Hill" movie demands reacting to all the weird things the characters encounter. 37. "Pokemon Heroes" (2003)This is the fifth "Pokemon" movie. That's all I have to say about it. 36. "Max Payne" (2008)Most videos games aren't really suited for film adaptations, but "Max Payne" is an exception as violent melodramatic noir. To its credit, the movie version goes for that, keying into the game's ideas and vision and broadening it into a visual approach that's generally kind of interesting. It can't quite hold it all together, though. 35. "Street Fighter: The Legend of Chun-Li" (2009)Usually, bad video game movies are the "boring" kind of bad, but the second attempt at a "Street Fighter" movie almost manages to achieve "accidental camp classic" status at some points. But the rest of it, unfortunately, is just an affront to humanity. 34. "Final Fantasy: The Spirits Within" (2001)Exactly the sort of half-baked melodramatic garbage you'd expect from the awful "Final Fantasy" series. Though it tried something interesting with CGI animation in the early 2000s, the movie struggles under the weight of a lot of world-building that never gets properly explained, wooden character animations, and dull performances in spite of an all-star cast. 33. "Pokemon 4Ever" (2002)This one has time travel, I think? Look, don't worry about the plot. 32. "Need for Speed" (2014)A story-less racing game franchise like "Need for Speed" should be the easiest kind of game to adapt, because there's actually nothing to adapt. So all you have to do is make a cool car-based action movie. But this movie can't even get that right. 31. "Pokemon: The Movie 2000: The Power of One" (2000)I always have trouble remembering which "Pokemon" movie is which, and this one's distracting double colons in the title doesn't help. 30. "Tomb Raider: Cradle of Life" (2003)The follow-up to a pretty OK first movie that felt rushed, "Cradle" basically just tried to copy the first movie but with a lower budget. That's a very video game approach to take, but not a good result. 29. "Mortal Kombat: Annihilation" (1997)Feels like a cheap knock-off of the first "Mortal Kombat" rather than an actual sequel. 28. "Hitman" (2007)Was this even really a movie? It's hard to tell, honestly, considering it felt like half its plot was left on the cutting-room floor. 27. "Wing Commander" (1999)Remember that brief moment when Hollywood wanted to make Freddie Prinze Jr. into a thing? Ironically, he's been pretty good acting in actual video games lately. 26. "Double Dragon" (1994)I'm sure someone out there has strong feelings about the "Double Dragon" movie, but I definitely do not. But hey, Scott Wolf. 25. "House of the Dead" (2003)Of all the Uwe Boll movies on this list, "House of the Dead" is the most watchable because it manages just the right balance of filmmaking ineptitude and inexplicable-yet-funny creative flourishes. In this case, the random splicing of clips from the "House of the Dead" gameplay between shots. 24. "Warcraft" (2016)"It's like 'Lord of the Rings' if there weren't any Hobbits to explain everything to," my friend told me after we watched it. Sounds about right, considering it's a barrage of nonsense fantasy concepts that it just assumes the audience already understands. Though the movie achingly recreates in-game locations, anyone who hasn't sunk a whole lot of hours into playing "World of Warcraft" gets left behind by the plot. 23. "Prince of Persia: The Sands of Time" (2010)It's not good, but has Hollywood cred because it's bad in the way that many attempts at summer blockbusters are bad. The video game connection feels incidental, though. 22. "Pokemon 3: The Movie" (2001)This is the one where a girl gets a Pokemon to be her dad after her real dad disappears. So it's one of the better ones. 21. "In the Name of the King: A Dungeon Siege Tale" (2008)Jason Statham, Ray Liotta, Ron Perlman, Burt Reynolds, Matthew Lillard, Leelee Sobieski, John Rhys-Davies. Probably the most amusing fantasy cast you could imagine, turning an Uwe Boll nightmare into something that's extremely watchable ironically. Watchability goes a long way on a list like this where most of the movies are terrible. 20. "Ratchet & Clank" (2016)We finally got to see what it would look like if you took a bunch of random cinematic scenes out of a game and cut them into a movie. And surprisingly, it's not that bad! 19. "Tekken" (2010)A perfectly OK movie about people beating the crap out of each other, to match a perfectly OK video game series about people beating the crap out of each other. 18. "Assassin's Creed" (2016) This is a movie that won't make a lick of sense if you haven't played one or two of the games it's based on. But I have played all of the games, and I found it to be a reasonably entertaining action flick. It's definitely pretty dumb, though. 17. "Resident Evil: Extinction" (2007)This one has zombie birds. I can't imagine why anybody would dislike that. 16. "Resident Evil" (2002)Fans of the game series don't like this movie because it doesn't follow the same plot as the source material. But honestly, this movie has a better story than any of the games. And it's one of the better modern zombie movies. 15. "DOA: Dead or Alive" (2007)One of the rare examples of a live-action video game movie fully embracing its source material. Sure, that source material is trashy and exploitative, but it always came with a wink. This movie comes with about a thousand winks. 14. "Pokemon: The First Movie" (1999)There's no such thing as a good "Pokemon" movie, but there is such a thing as a "Pokemon" movie that might make you cry. This is that "Pokemon" movie. 13. "Lara Croft: Tomb Raider" (2001)Thus far, this is the mainstream ideal for what a video game movie could be: a fun, light action flick that operates as a real movie. It's perfectly enjoyable. 12. "Hitman: Agent 47" (2015)As an adaptation of a stealthy game series it's just OK, but as an inventive R-rated action movie it's actually really enjoyable. 11. "Resident Evil: Apocalypse" (2004)The second "Resident Evil" is where the film series found its true identity as delightful trash action pictures rather than horror films. It was a good move, as the film embraces all sorts of weird monsters but turns the franchise into something very different from the source material. It's telling that the games would eventually start to ape the movies. 10. "Rampage" (2018) "Rampage" wasn't much of a game to adapt -- it's just the story of three giant monsters terrorizing cities and eating people while the army tries to shoot them. The movie adds a sci-fi storyline about gene editing, an evil corporation, a friendly gorilla and The Rock, and the results are largely goofy fun. It's an excuse to watch a 30-foot wolf, 20-foot gorilla and 60-foot crocodile climb buildings in Chicago and wreck stuff, and in that way, it's pretty faithful to the game that spawned it. 9. "Tomb Raider" (2018) An adaptation of the game that rebooted the video game franchise, to reboot the movie franchise, has some solidly movie-like source material to work from. It does a pretty good job of capturing the spirit of the survivor-focused "Tomb Raider" and has some cool action sequences besides, but a lack of characterization for Lara and a rushed story mean it's just never very memorable. 8. "Doom" (2005)When it comes to horror sci-fi action, you could do worse than having The Rock as the bad guy who goes psycho at the end. Much of the movie legitimately hits on some creepy vibes before it careens into a climax that includes a first-person viewpoint sequence that makes you wonder why anyone plays video games at all. 7. "Super Mario Bros." (1993)Everybody hates this movie, but I'm not sure there's any other way to adapt the "Mario" games than with a dumb comedy like this. Those games don't exactly have normal story elements like "dialogue" or "themes." Anyway, this film works on sheer novelty value alone today, and because of a couple of great performances by Bob Hoskins and John Leguizamo. 6. "Street Fighter" (1994)It's "Batman: The Movie" meets "Rambo," and somehow it actually works. How? Raul Julia, that's how. As the story's villain, he's having an absolute blast the entire time, with a cast that just as often also leans into their goofy video game characters. 5. "Resident Evil: The Final Chapter" (2017) Paul W.S. Anderson caps off the “Resident Evil” series by throwing out any and all worries about continuity. Iain Glenn is back from the third movie for a chance to be super ridiculously evil again, and we finally get a reason for this zombie apocalypse. “The Final Chapter” has more awesome monster-beat downs and more horrific deaths, and it goes crazy in embracing being over-the-top. 4. "Silent Hill" (2006)One thing video games have going for them above other media is visual inventiveness -- if nothing else, they usually look cool. "Silent Hill" manages to tap into the phenomenal look and tone of the games, while also being a pretty decent movie otherwise -- despite a big boring exposition dump right before the climax. 3. "Mortal Kombat" (1995)The '90s were a rough stretch for movies overall, with seemingly every other film being a bad action movie or a bad supernatural thriller. "Mortal Kombat" feels very much like a product of that sort of time, but thankfully it knows exactly what kind of trash it is, and its cast leans into having fun with the underlying weirdness. 2. 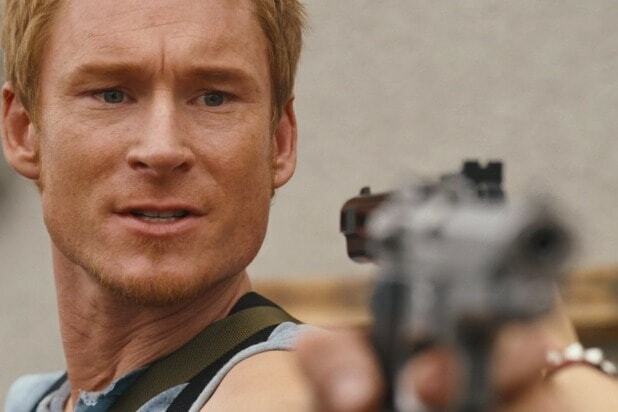 "Resident Evil: Afterlife" (2010)Paul W.S. Anderson directed the first "Resident Evil," then left the director's chair to someone else -- until he returned for "Afterlife." There's a marked leap in technical wizardry with this one, turning the franchise from B-level afterthought to B-level greatness. This is a movie that actually makes great use of 3D to look awesome. 1. "Resident Evil: Retribution" (2012)It's goofy, gory, excessive action shot absolutely impeccably. A trash masterpiece that doesn't get enough credit for being gorgeous, and an easy choice for the best video game movie ever.